Brady and crew at Old Blood Noise Endeavors put together a great original composition for the first look/hear of the Old Blood Noise Endeavors Reflector Chorus. As you would expect from Old Blood Noise Endeavors, they’re putting their own sound on a conventional effect. I love how OBNE adds that mysterious characteristic to their pedals, and they continued the tradition with the Reflector. From there it grew with additional pedals and instruments. Man.. I loved the Bass VI in there! 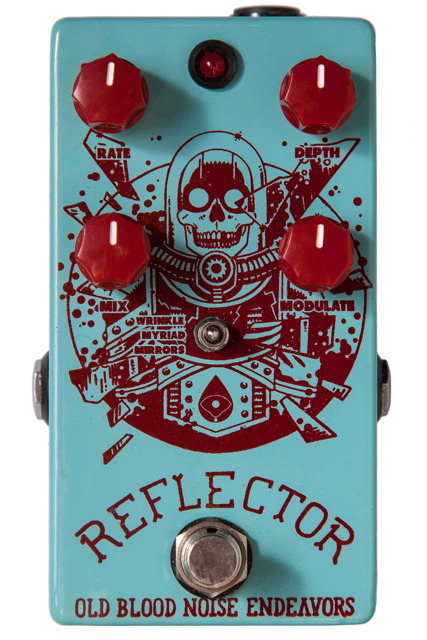 Old Blood Noise Endeavors Reflector Chorus is available for $199 at their website! Let me know what you think by commenting below!